AcmePhotoPro is a Premium Photography theme with extended features and based on masonry layout, a perfect premium theme for all photographer, as well as portfolio site for your creativity. AcmePhotoPro comes with amazing feature section with different options and advanced masonry layout, making this theme super awesome with premium quality. 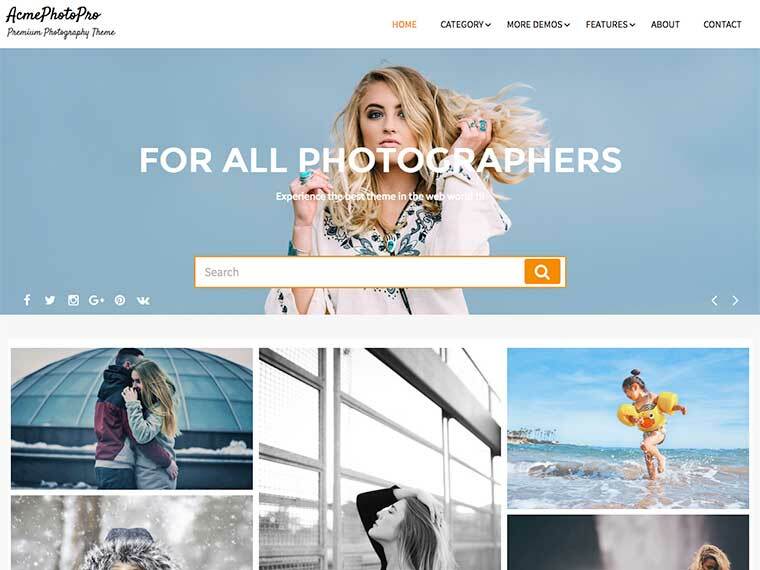 If you a professional photographer, a photo blogger or just looking for a beautiful photography theme for your next project, then AcmePhotoPro is what you are searching for. 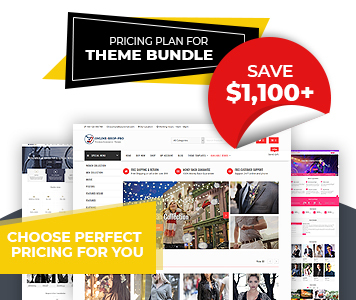 This theme have very beautiful features section with header image, header content, search and Read More Button. Advanced masonry layout comes with enable/disable gap, date, author, comments, category and all related on masonry section. Feel the best experience ever. You can add the section as much as you want on front page with custom Widget. You can easily manage the Social Icons on the header Area . Social Icons appear on the place of menu. Footer section comes with your own copyright text and Social Icons. You can easily manage this section as well. Theme is developed in the concept of parent and child page. Select the parent page on widget to display it\\\'s child page content. Services Section widgets helps to introduce your brand/company over the world with your website. Featured section with title, content and link button will help to featured the important things and link to the custom page. It comes with pagination and load content on single page too. Make your site awesome. AcmePhotopro is developed in such a way that, all the codes are reviewed by experience theme reviewer and developed by experienced developer team. The design of theme is really awesome. Every section are analyzed and designed in a attractive way. Feel the best theme ever.